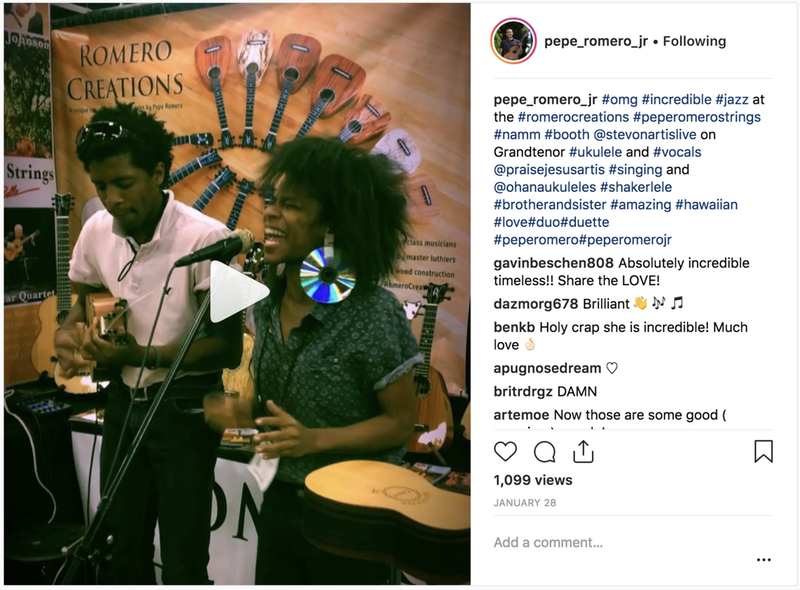 Click to view video of Stevon playing the Romero Creations Grand Tenor ‘ukulele with his sister, Praise Jesus Artis, at The NAMM Show’s Romero Creations booth. Stevon Heavenly Artis is a singer-songwriter and multi-instrumentalist who believes Music to be “a form of expressing Life, Love, it’s a Conversation, a way to guide, Heal and Teach, a Light of encouragement.” Stevon performs in genres ranging from Folk, Singer-Songwriter, R&B and Blues to Soft-Rock, Pop, Reggae, and more. He has worked with Henry Kapono, Mike Love, G-Love, and opened for Jack Johnson and Ceelo Green.